Hawaii natural foods grocer Down to Earth is relocating its Kailua store several blocks away to the former Macy’s building, which landowner Alexander & Baldwin is redeveloping as the Lau Hala Shops. Alexander & Baldwin Inc. (NYSE: ALEX) said that the 48,400-square-foot retail and restaurant complex is scheduled to start construction on Friday and expected to be completed later this year with the first tenants expected to open in early 2018. Lau Hala Shops will also include a new restaurant concept by Hawaii chef Roy Yamaguchi, a brewpub by Maui Brewing Co. and a Harley-Davidson apparel and accessories store, A&B said Monday. The Lau Hala Shops will include 10 spaces ranging in size from 800 square feet to 20,000 square feet. A&B said interest has been strong and leases or letters of intent have been signed for nearly 90 percent of the available area. Pacific Business News broke the news that Maui Brewing and Yamaguchi would be opening restaurants at the complex along Kailua Road. Macy’s closed last year after it decided not to renew its ground lease. A&B’s $373 million purchase in 2013 of most of the Kailua town commercial portfolio and other properties from Kaneohe Ranch and the Harold K.L. Castle Foundation included the former Macy’s building. 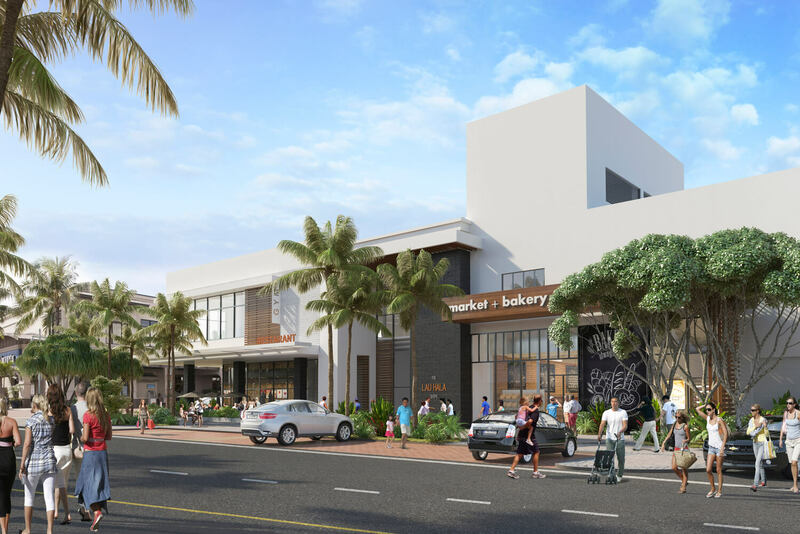 Honolulu’s AHL, or Architects Hawaii Ltd., is the architect for the Lau Hala Shops project.